Fairtrade fortnight is here and as a fair minded person, The Winesleuth is going to be doing her best to find out more about the Fair Trade wine business. I got a taste of it a few weeks ago at the Friday Food Club‘s inspired Fairtrade Dinner, making an entire meal with Fairtrade inspired menu. 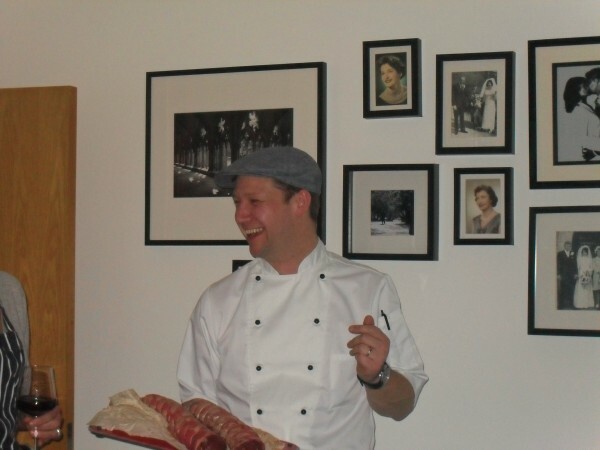 Lee Behan is the fellow behind Friday Food club and it’s him who you will find most likely in the kitchen, although FFC does occasionally have guest chefs at the helm. 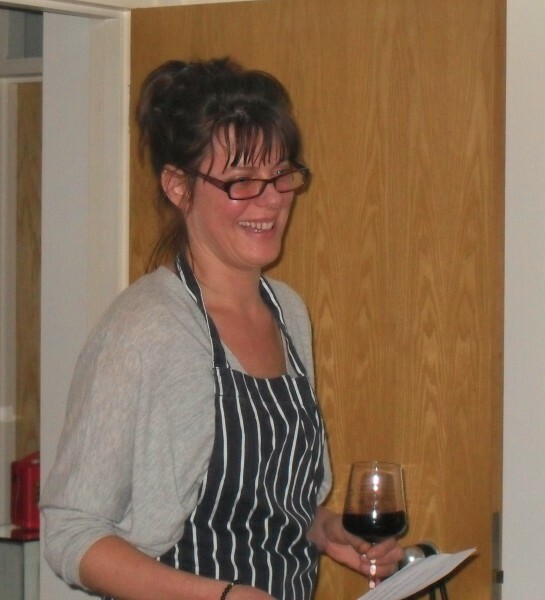 For this special FFC Fairtrade Dinner, Lee had teamed up with the Modern Pantry‘s Anna Hansen to cook up a Fairtrade meal with a Modern Pantry spin to it. 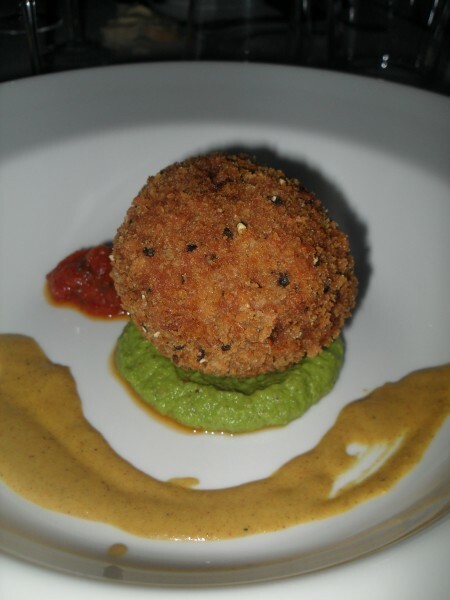 Lee and Anna served up a delicious starter of Spiced Burford Brown Hen Scotch Egg with yuzu tomato chutney, green pea curry and chilled curry paste. A very tasty, spicy scotch egg tempered by the sweetness of the yuzu tomato chutney. 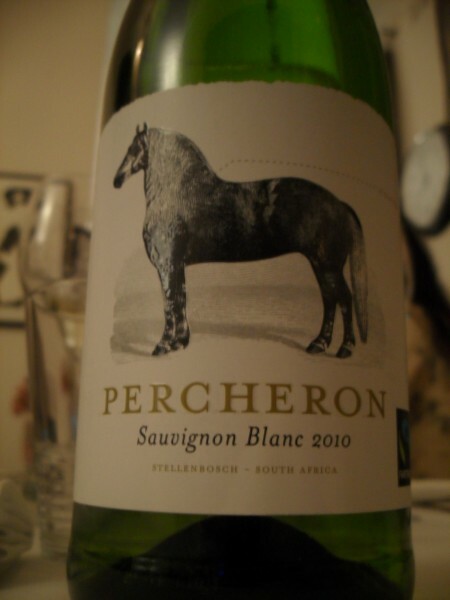 Of course Fairtrade wines were in abundance and we had a South African Sauvigon Blanc, the 2010 Percheron from Stellenbosch paired with the egg. The wine was ok but I found it to be a bit too nettle-y and it had a rather stark finish to it. Others around the table enjoyed it but I thought it was a little bit too acidic and had a bitter lemon finish, not quite balanced, almost but not quite. 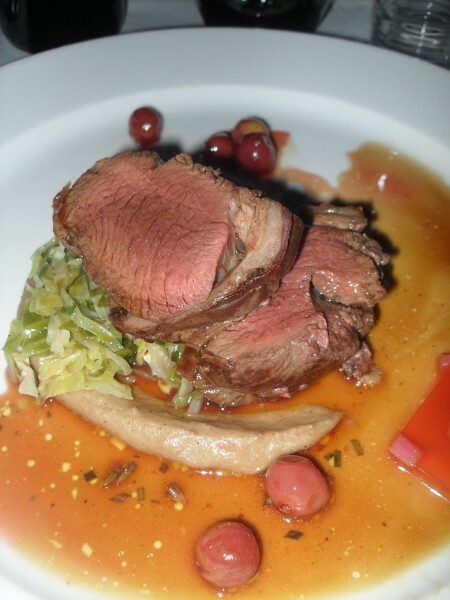 The wine that I did like was the red that was served with the main of Loin of Venison served with chestnut and nutmeg puree, pomegranate & rhubarb jelly and slow roast grape jus. 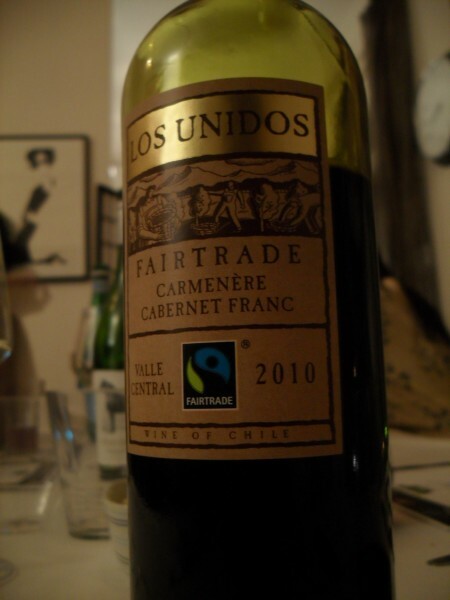 The Los Unidos 2010 Fairtrade Carmenere/Cabernet Franc from the Central Valley of Chile. A robust red, slightly confected on the nose but showing good structure and plenty of red and black fruits on the palate. It was a good wine to with the venison, the tannins not too harsh, and the wine finishing on a spicy note. I quite enjoyed it, the only thing I found disagreeable was the Los Unidos label. I don’t know why Fairtrade has these horrible labels that look like something from the 70’s. I mean if they are all about helping people, perhaps they could find a designer who needs a hand up and get him or her to work on the wine labels. The food was lovely and one hit and one miss on the Fairtrade wine front. Fairtrade wines have been steadily improving and the white wine definitely has some potential, if they could tone down the acidity a bit and coax more fruit out of the wine, it’d be a good one. Give them a few more years and I think they could really be on to something. I didn’t know there were fair trade wines – thought it was limited to bananas and chocolate! Good to know. Fairtrade wines are fairly new, less then 10 years. They are a work in progress but I’m sure that they will improve. The wines coming from Argentina are already showing lots of promise.